In my opinion, this vdp offers a broad horizon for MSX. There is nothing to prevent the V9k from having its own forum. We talk to our technician as soon as he seems sober again. These extensions are becoming very popular getting more and more widespread. TMT Logic also offers a Graphics 9000 clone, the GFX-Nine card. We'll be reporting in a news post shortly. TMT Logic also offers a Graphics 9000 clone, the GFX-Nine card. 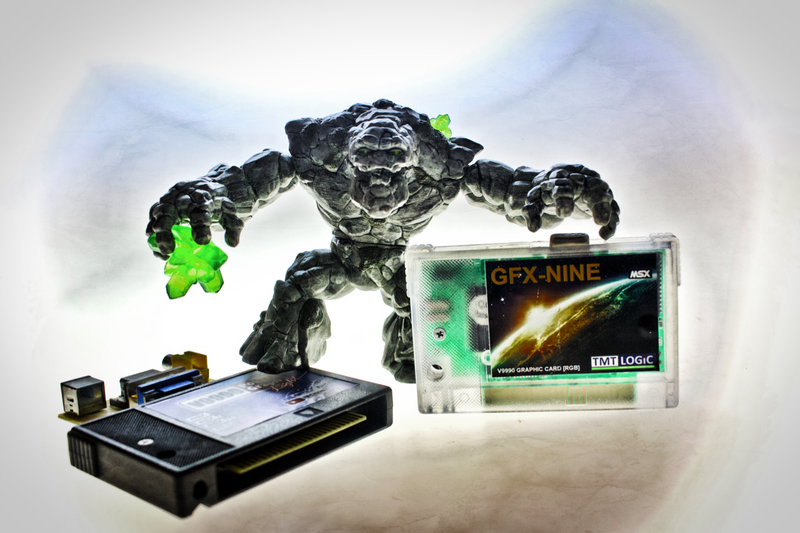 Note that there will be a limited amount of GFX-Nine cartridges available @ Nijmegen/Beuningen next weekend. This will also be the last batch at this moment. It seems superfluous to me, sure V9990 is gaining some traction which is nice, but overall there aren’t really that many Graphics9000 threads so I expect that forum to stay mostly empty, and then why not make a V9958 and TMS9918 forum as well, or a general VDP programming forum, or an OPL4 programming forum, or a DOS2 programming forum (also topics that would be convenient for me to be categorised). Where does it end, and why does the V9990 get to be special. So I think having just the "Development" forum is fine. My 2 cents. In fact, now that has been mentioned, I'd see good to categorize based on classes: Video, Sound, Software (or OS). But the number of new posts should be revised to check if it is really worth. IMHO what this forum needs more is a good search. Be able to search by forum category, user, etc. instead the global search we have. If the V9990 is something special. It has nothing to do with TMS9918, V9938 and V9958. It is another world. But I respect all opinions. TIP: Use Advanced Search of Google instead of the MRC search engine. V9990 isn't even in the MSX standard. Shouldn't even be on msx.org. For the rich and famous. Whats next? An ARM, a GPU and a touchscreen in a MSX slot just providing +5Volt from the MSX. You can also say that MSX-DOS2 is not in the MSX standard, at least before MSX Turbo R.
I thought it was copyrighted by ASCII, but DOS it have seperate forums?